Big Blue Bug Solutions takes great pride in providing quality pest control services to businesses and homeowners in Milford, Grafton and throughout Massachusetts, Rhode Island and Connecticut. Since 1935, we have been successfully getting rid of carpenter ants, mice, termites, bed bugs and many other common pests with effective and eco-friendly pest control methods and techniques. 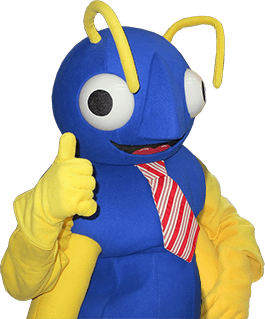 No matter if your pest problem is a yellow jacket nest on your property or carpenter ants destroying your home or business, you can count on Big Blue Bug Solutions to resolve even your toughest pest problem. Carpenter ants are large ants that range in color between black, red, or black and red, and are commonly found in Milford, as well as many places throughout the United States. Carpenter ants are larger than pavement ants and odorous house ants, generally 1/8 to 1/2 an inch in length, that live in large colonies. This species of ants can be regularly found indoors wandering in bathrooms and kitchens. Carpenter ants are not known to be carriers of disease and they rarely bite, but they are the most dangerous species of ants found in Milford. These ants initially enter your home in search of food and continue to build their colony within the security of your home. Carpenter ants build nests and tunnels for their colonies by digging their way through wood, often the wooden structure of your home. By the time you have noticed carpenter ants in your home, their destruction to the structural integrity of your home can be so severe it is unrepairable. If carpenter ants have not found a way into your Milford home yet, Big Blue Bug Solutions would like to help you keep it that way! By following our carpenter ant prevention tips you will be on your way to better protecting your home from these damaging pests. If even after following these prevention tips carpenter ants have found a way into your home, contact our Milford pest control experts to get rid of carpenter ants today! Don’t let these devastating insects cause you unneeded stress and concern; let the professionals at Bug Blue Bug Solutions resolve your pest problem with our carpenter ant treatments today! Whether you are in need of ant control or home pest control services, Big Blue Bug Solutions in Milford should be your trusted exterminator. For more information on all our Milford pest control services, contact us today!